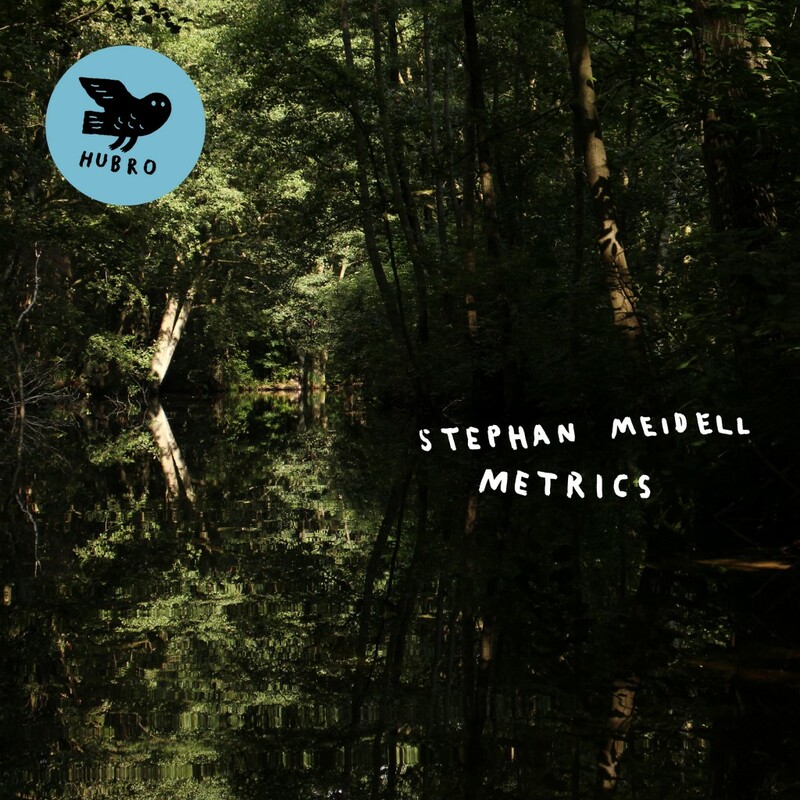 Three years after the release of his critically acclaimed, groundbreaking debut album Cascades, Stephan Meidell is about to return with his much-anticipated sophomore album Metrics, which will be released on Hubro Music on the ‘28th’ April 2017. Metrics marks the return of a true musical pioneer and sonic explorer Stephan Meidell, who takes the listener on a captivating musical journey on Metrics. That’s no surprise, given thirty-four year old Stephan Meidell’s career so far. His recording career began in 2007, whilst he was still a student at the prestigious Conservatorium van Amsterdam. Stephan Meidell had enrolled at the Conservatorium van Amsterdam in 2004, when he was twenty-one, and would spend the next four years studying jazz. This would stand him in good stead as recording career began. As 2007 dawned, Stephan Meidell was putting what he had learnt into practise with the pan-European jazz quintet Mr. Eart. They had already written and recorded their debut album, Facts In The Case Of The Mysterious Pop Murders. It was scheduled for release in February 2007. When Facts In The Case Of The Mysterious Pop Murders was released, it was well received by critics. Alas, Mr. Eart’s album proved to be a one-off. However, Stephan Meidell’s recording career was already underway, and he hadn’t even graduated from the Conservatorium van Amsterdam. A year later, in 2008, Stephan Meidell graduated from the Conservatorium van Amsterdam with his degree in jazz. Now he was ready to embark upon a career in music. After his graduation, Stephan Meidell didn’t return to Kristiansand, where was born in 1982. Instead, he decided to base himself in Bergen, which had, and still has, a vibrant and thriving music scene. This was the perfect place for Stephan Meidell to found the Playdate concert series in 2009. Since then, the Playdate concert series has continued to focus on and champion improvisational music. That was no surprise, given Stephan Meidell’s background is in jazz and improvised music. By 2009, he was a member of Vanilla Riot, a groundbreaking jazz trio who took improvised music in a new direction. Vanilla Riot combined drums, clarinet and guitar with two laptops. This was a new and exciting musical development, which made its debut on Vanilla Riot’s debut album Stitch. It was released to critical acclaim in December 2009. Despite the critical acclaim, there was no followup to Stitch. Two years later in 2011, Stephan Meidell returned with another innovative new band, Velkro. The experimental trio released their debut album The Future Of The Past in 2011. The album received praise and plaudits, and the future looked bright for Vekro. As 2012 dawned, this was the start of busiest years of Stephan Meidell’s career so far. He returned in January 2012 with a new album from his latest band, The Sweetest Thrill, which featured drummer Øyvind Hegg-Lunde. The pair had also recorded The Sweetest Thrill’s genre-melting album Jewellery. It was fusion of indie rock, Krautrock, noise rock and shoe gaze. Upon Jewellery’s release in January 2012, The Sweetest Thrill’s unique brand of sonic sorcery found favour with critics. Soon, thing were about to get even better for Stephan Meidell. Later in 2012, Stephan Meidell’s career headed in a different direction, when he became the chairman of Ny Musikk Bergen (New Music Bergen). This was position he held until 2014. Together with his role as curator of the Playdate concert series and as music critic with Bergens Tidende, Stephan Meidell was keeping busy. Still, though, he found time to record and release another album. This was Krachmacher’s debut album Paratrooper, which was described as an: “avant-kraut, art-rock experiment gone pop.” The Bergen based quartet’s debut album was well received upon its release, and the future looked brought for Krachmacher. However, they’ve never released a followup to Paratrooper. Despite this, Stephan Meidell was kept busy. He featured on Erlend Apneseth’s debut solo album Blikkspor, which was released in early October 2013. Later that month, Cakewalk would return with their sophomore album Transfixed. Seventeen months after releasing their debut album Wired, Cakewalk returned with their much-anticipated sophomore album Transfixed. It was released in October 2013, and built on their criticality acclaimed debut album Wired. Avant-garde was combined with jazz and rock on Transfixed which was a musical tapestry of musical genres and influences. Transfixed further reinforced that Cakewalk were about to become one of the leading lights of the Nordic music scene. The following year, 2014, would be another important year in Stephan Meidell’s musical career. Not only would two bands from his past hit the comeback trail, but Stephan Meidell was about to embark upon a solo career. Seven years after making his recording debut, Stephan Meidell released his debut solo album Cascades on Hubro Music in February 2014. Cascades was released to critical acclaim, and was hailed as a groundbreaking album from a musical pioneer. The followup to Cascades was eagerly awaited by critics and music fans. Before that, two bands from Stephan Meidell’s past were about to make a welcome comeback. This included sonic sorcerers The Sweetest Thrill, who returned with their sophomore album Strings and Timpani later in 2014. Strings and Timpani was the much-anticipated followup to Jewellery, which had been released in 2012. Just like Jewellery, Strings and Timpani’s genre-melting sound well received by critics, who welcomed the Norwegian duo’s return. It was a similar case with another band from Stephan Meidell’s past, Velkro. Three years after releasing their debut album, the multinational trio Velkro returned with Don’t Wait For The Revolution in November 2014. The album had been recorded in Lisbon, in June 2012, but had lain unreleased for over two years. Despite that, the music on Don’t Wait For The Revolution still sounded ahead of the musical curve. It was another album of inventive and innovative music from Velkro, who reached new heights as they switched between and combined alt-rock, electronica, improv and noise rock on Don’t Wait For The Revolution. Just like The Sweetest Thrill’s sophomore album Strings and Timpani, Velkro’s Don’t Wait For The Revolution was an ambitious album that marked a return to form from both bands. In 2016, Stephan Meidell was busy working on a variety of different projects. He was a member of the Erlend Apneseth Trio who released their critically acclaimed debut album Det Andre Rommet in February 2016. Five months later, Stephan Meidell returned with a new project Strings and Timpani. The lineup of Strings and Timpani was the same as The Sweetest Thrill, with Stephan Meidell joined by drummer Øyvind Hegg-Lunde. However, as Strings and Timpani the pair use improvisation to create catchy and rhythmic music by fusing elements of world music, jazz and lo-fi pop. To do this, they incorporate prepared sounds as part of their extensive musical arsenal. This was something that Stephan Meidell had been doing successfully for several years, and would continue to do so. These prepared sounds played a part in the sound and success of Strings and Timpani’s debut album Hyphen when it was released in July 2016. Buoyed by the success of Hyphen, Stephan Meidell turned his attention to several other projects that would be released during 2017. This included Vellkro’s third album Too Lazy To Panic, which was the followup to 2014s Don’t Wait For The Revolution. It was released in January 2017 and is another ambitious, inventive and intense album. Seamlessly, Velkro switch between and fuse disparate musical genres, including mprov, experimental electronic music and psychedelic rock. The result is a music that’s variously harsh, dreamy and melodic and is without doubt, Velkro’s finest album. One of the other albums that Stephan Meidell had been working on during 2016, was Cakewalk’s long-awaited third album Ishihara, which will shortly be released in the rest of Europe on Hubro Music. So too will Stephan Meidell’s long-awaited sophomore solo album Metrics. Nearly three years after the release of Cascades, Stephan Meidell returns with his carefully crafted sophomore album Metrics. He’s accompanied by some of Norway’s talented musicians on what’s a very different to Cascades. Each of the musicians in the multitalented ensemble, that feature on Metrics have been hand picked especially for the parts that they play on the album. Great care had also gone into choosing the array of instruments that would be used on Metrics. They various musical registers of each instrument had to compliment each other. This is something that Stephan Meidell has taken great care with throughout his career. Essentially, each musician is one piece of a musical jigsaw, and if Stephan Meidell had chosen the right personnel, all the pieces will fit together perfectly. This includes Erlend Apneseth who plays Hardanger Fiddle. He’s joined by clarinetist Morten Barrikmo; harpist Hans Knut Sveen and Stefan Lindvall who plays baroque violin parts. Magda Mayas was drafted in to play the piano parts. However, rather than use the piano parts in their entirety, they were later edited and manipulated by Stephan Meidell and become some of the prepared sounds he deploys on Metrics. Meanwhile, Stephan Meidell plays guitar, synths and adds drum machines, electronics and tapes. Stephan Meidell and his ensemble improvise on the seven pieces that would later became Metrics. However, the album wasn’t completed yet. Still, Stephan Meidell had to edit the seven pieces. This was something that Holger Czukay pioneered in the late-sixtes and early seventies. Forty years later, and Stephan Meidell was using editing effectively, and had been for the best part of ten years. Stephan Meidell also had at his disposal samplers, tape machines and drum machines. These became part of his palette of sound, as he deployed a myriad of prepared sounds and programmed electronic drums beats. Suddenly, Stephan Meidell was more like a sculptor, as he gradually shaped the seven soundscapes. This required processing and effects. Gradually, though Metrics began to take shape. Once the recording and editing of Metrics was complete, the album was mixed at Kakofon Studio. All that remained was for the album to be mastered in Berlin at Dubplates and Mastering. Now Metrics was ready for release, and will be released by Hubro Music on the ‘28th’ April 2017. Metrics finds Stephan Meidell heading in a new direction, and one where disparate musical genres and influences seamlessly melt into one. This ranges from baroque to electronica and techno right through to musique concrete and progressive rock. They’re part of sonic sorcerer Stephan Meidell’s genre-melting, cinematic musical journey on Metric. Opening Metrics is Baroque I, where crackling sounds give way what sounds like the sound of a train as this new musical journey begins. Suddenly, the understated soundscape becomes dramatic and atmospheric. It’s also cinematic, as it takes on an Eastern sound. Meanwhile, pulsating beats provide a dramatic backdrop, but don’t overpower the rest of this meandering filmic arrangement. However, they add a degree of drama and tension, whilst constantly conjuring up pictures of somewhere distant, Eastern and exotic. Maybe it’s a market or souq? Stephan Meidell certainly continues to deploys a myriad of sounds that add to, and compliment the Eastern influence. Later, the music becomes ruminative, inviting contemplation and reflection. Always though, it’s atmospheric, dramatic, moody and cinematic, as Stephan Meidell paints pictures with music. Baroque II picks up where Baroque I left off. Mesmeric, jangling sounds signal the start of the day in some faraway Eastern city. Soon, a powerful, dramatic drone sounds and reverberates and the city is awake. Meanwhile, a harp, that adds a contrast, while screeching, searing sounds replicate the bray and cry of animals. By then, there’s an urgency as if the citizens of a sprawling city start to go about their daily business. As they do, the drama builds and grows. So does the sense of urgency as seamlessly Stephan Meidell conjures up a sprawling metropolis awakening. Contrasts abound as State I begins to unfold. What sounds like the sound of a door being locked is accompanied by thunderous techno drums. Still, the door squeaks and scrapes as it’s unlocked and then locked. Meanwhile, a carefully crafted and catchy dance track is unfolding. Filters have been used on the beats, while washes of synths and then sirens interject. They pay homage to Acid House, as the arrangement continues to build. However, in the background, scraping, screeching sounds can be heard. So can dark, dramatic drones and the dark sound of a piano. Is something sinister going on, and are the thunderous beats that power this dance-floor friendly track along merely a ruse to disguise the actions of State I? Otherworldly, dark and futuristic describes the introduction State II. Especially when growling, gnarling and drones escape from soundscape. Industrial sounds join futuristic, otherworldly and eerie sounds. Together, they create a dark, dramatic, moody and pulsating backdrop. Sometimes, the music is elegiac, melancholy and melodic as tension and drama pervades this filmic soundscape before it reaches a crescendo. This leaves only one question left unanswered what is State II, and what is its purpose? Has it some sort of Orwellian purpose in a futuristic nation? Straight away, there’s a dreamy, ethereal and exotic sound as State III unfolds. The arrangement floats dreamily, with Stephan Meidell leaving space in this lysergic soundscape. Instruments and sounds flit in and out, but each one has a purpose. It’s one part in the musical jigsaw that gradually takes shape. Meanwhile, a less is more approach has been taken, allowing the music to evolve. Later it becomes thoughtful, moody, dramatic and pensive. Always, the music is cinematic. However, it’s up to the listener to provide the script as latterly, the music veers between pensive and mournful. Biotop is twelve minute epic, which allows Stephan Meidell the opportunity to experiment. This he does, as a myriad of prepared and found sounds join with beats and recreate a machine-like backdrop. It’s as if Kraftwerk’s Man Machine has awakened and walked onto the set of a Wim Wenders movie, where Ry Cooder’s shimmering guitar is setting the scene. Soon, the music is atmospheric and moody, as pulsating beats propel the arrangement along. Meanwhile, Biotop limbers along, emitting squeaks, creaks and beeps. Sometimes, it scrapes and jars, as the music becomes moody, eerie, dramatic and otherworldly. Still, the music is melodic and captivates as it takes on a futuristic sound as the beats gallop along, providing the pulsating heartbeat. Later, there’s a jarring, squeaking sound as the haunting soundscape glides along, as if Biotop is en route some distant galaxy. On Tauchgang which closes Metrics, it sounds as if Stephan Meidell is taking the listener on another journey. Gradually the tension and drama builds, before speaks and creaks are emitted from the soundscape. They join a myriad of otherworldly sounds as a stab of piano adds to the drama that continues to build. By then, it’s as if Stephan Meidell is providing the soundtrack to a sci-fi film. To do this, he puts to good use his sonic palette to successfully create a dramatic backdrop. This sets the listener’s imagination racing, as they imagine alternative scenes and scenarios. Especially with two minutes left as a degree of urgency is added, and the tension rises as the drama continues to build. By then, the music is dark, moody and mesmeric as it reaches a crescendo. Tauchgang is an example of cinematic music at its best from a musical master craftsman. Stephan Meidell has spent the last ten years forging a career in music. This he’s done with various bands, and now as a solo artist on his much-anticipated sophomore album Metrics, which will be released by Hubro Music on 8th’ April 2017. Metrics marks the return of a true musical pioneer and sonic sorcerer Stephan Meidell, who takes the listener on a captivating musical journey on Metrics. With the help of handpicked and multitalented band, Stephan Meidell carefully crafts the seven soundscapes on Metrics. They’re variously atmospheric, dramatic, moody, mournful, and pensive. Other times, they’re futuristic and otherworldly. Sometimes, the music is catchy, elegiac, ethereal and melodic. Always the soundscape on Metrics are captivating and cinematic. All the listener is left to do is add a script the seven groundbreaking and genre-melting soundscapes on Metrics. To create the soundscapes on Metrics, Stephan Meidell has combined a myriad of musical genres. This ranges from avant-garde, baroque, electronica and experimental, to improv and industrial, Nordic Wave. Add to that, elements of Berlin School, post jazz, post rock and progressive rock. Elements of each of these musical genres were carefully sculpted by Stephan Meidell to create the seven soundscapes on Metrics. It marks the welcome return of Stephan Meidell after three years. Stephan Meidell’s much-anticipated sophomore album Metrics is no ordinarily album. Instead, Metrics is a career defining solo album from Stephan Meidell. So much so, that Metrics marks the coming of age of sonic sorcerer and musical pioneer Stephan Meidell on his ambitious and groundbreaking album, Metrics. ← BACK ON THE STREET AGAIN (AUSTRALIAN FUNK, SOUL AND PSYCH (MOSTLY) FROM THE FESTIVAL VAULTS.